Consultations are available Monday - Friday throughout the day, but individual GPs' work patterns vary according to on-call commitments. Reception will advise you of availability as appropriate. Patients are able to book ahead for an appointment with a GP of their choice up to four weeks in advance. Routine appointments are booked at 10 minute intervals, but if you have a complex issue or multiple problems, we can offer you a longer appointment. - please ask the receptionist at the time of booking. Any Emergency appointment request for the same day will be triaged by the Duty Doctor before an appointment time is allocated. Please call the surgery before 10:30am for a morning triage call OR before 2.00pm for an afternoon triage call. Please note: when the surgery returns your call, it will be on a withheld number. Due to the system we operate, it is essential that we are kept up-to-date with changes to your contact details. If you have recently changed your home or mobile telephone number, please inform the receptionist or fill our online Update Clinical Records form. If you feel that you need more time with the doctor/nurse to discuss several problems, please ask the receptionist to book you a double appointment. Should more than one of your family need to see a doctor at the same time, please make this clear when booking your appointment. This will ensure that you have a separate appointment for each member of the family; thus allowing sufficient time for the doctor to assess each person's medical needs. 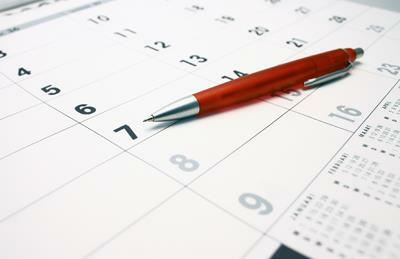 It is extremely important that patients attend booked appointments. If you do need to cancel your appointment, please give as much notice as possible so that the appointment can be allocated to another patient. Our computer system holds a record of missed appointments where notification has not been received of non-attendance. The doctors may remove patients from the list who continually miss booked appointments. All our clinicians endeavour to run to appointment times. However depending upon the complexity of the illness and any emergencies that can arise, they can run late. If you have been waiting longer than 30 minutes beyond your appointment time please see reception. To assist the clinicians in running to time, please remember that one appointment is for one problem. These appointments are available at other locations and are available every evening (6.30pm-9.30pm Monday-Friday) and on Saturday and Sunday mornings for ALL registered patients. Reception staff can book during opening hours only. Please contact reception for more information.